As a rule, drawings and paintings should be kept out of direct sunlight; a bright, sunny room with indirect sunlight is fine. Always handle with care; if needed, dust gently with feather duster or similar. 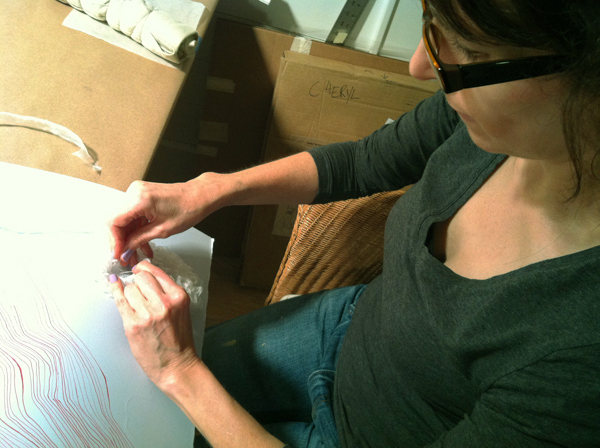 Working primarily with two-dimensional, abstract forms – I draw and paint, incorporating acrylic paint & resin or encaustic with graphite, gouache and other media on paper and panel. I use both fabricated and found objects in three dimensional and installation works. 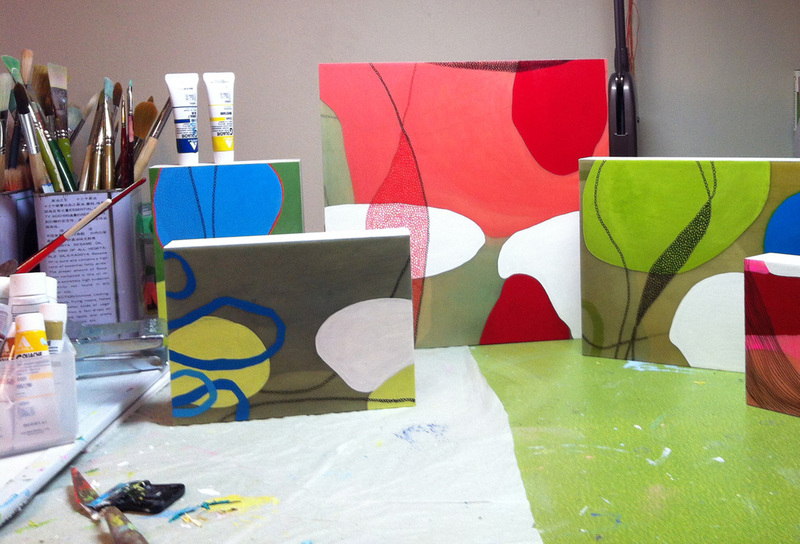 Layered color, repetition of shape and line bring depth and subtlety to my work. A collector of random found and natural objects; these materials inevitably end up either in or influencing my work. For me, experimentation with different materials fosters new ideas to materialize within my work and allows me create works which stimulate my artistic growth. My mixed media paintings incorporate acrylic paint, pencil, archival pigment marker and color pencil. Once a mixed-media acrylic painting is is completed, I use either an artist grade varnish or an epoxy resin over the work. Both the varnish and resin used on my paintings have a very durable surface and contain a UV component to deter yellowing and fading, however prolonged exposure to direct sunlight will likely have an adverse effect on the artwork. studio: Cheryl Gail, Marsha D.